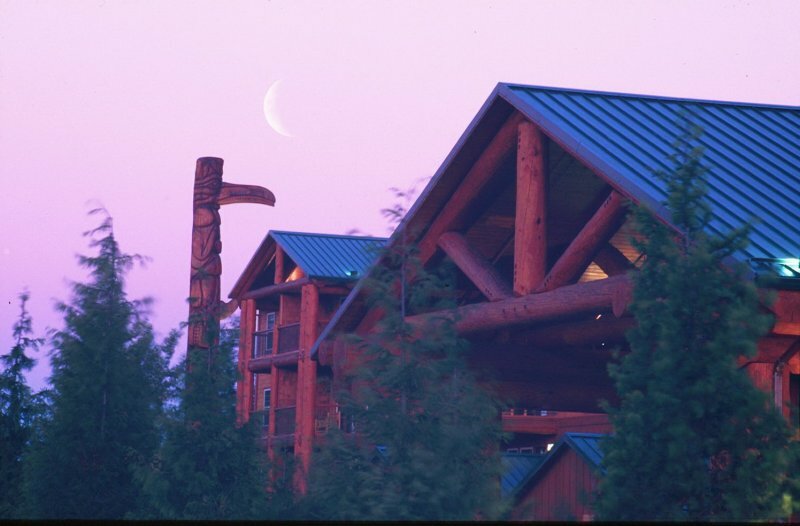 A 28 foot totem pole which towers in the front of the Heathman Lodge. 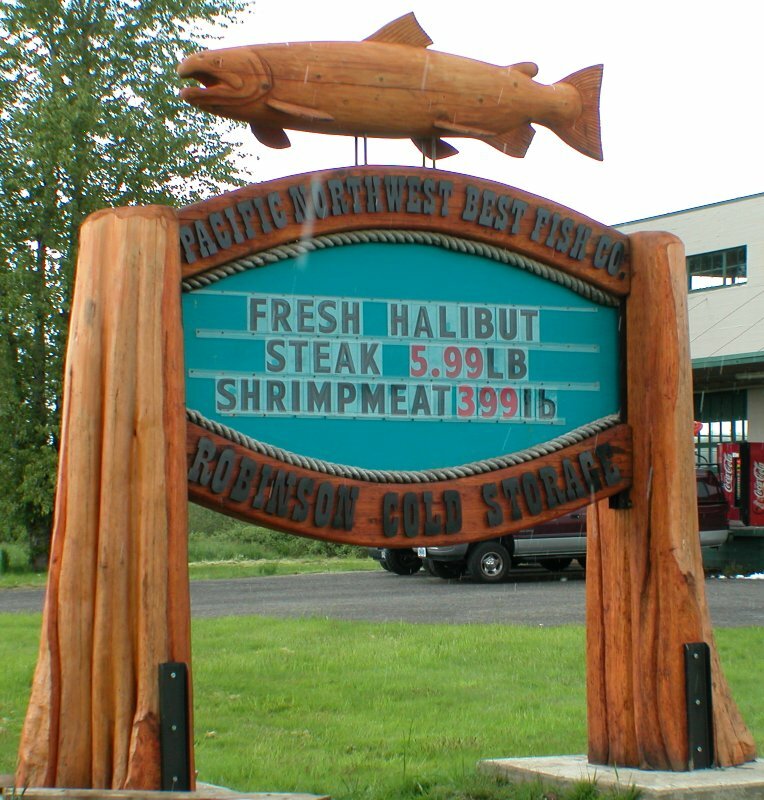 This totem pole makes a great statement about Northwest traditional art even before entering this Grand Lodge. 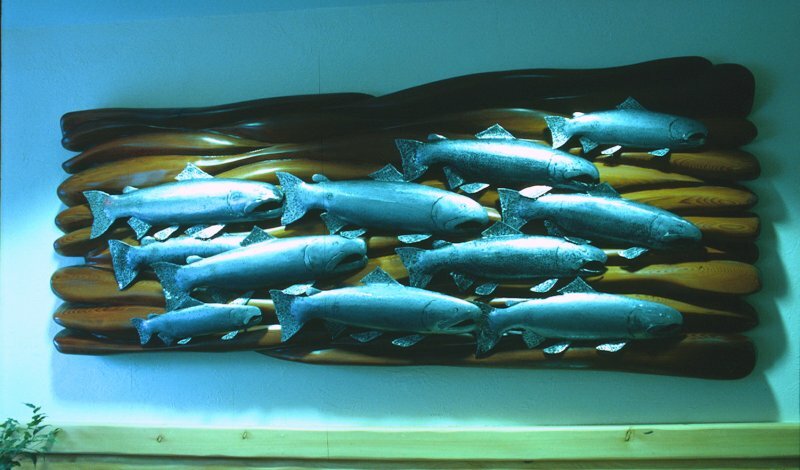 Wood and metal salmon sculpture in manager's office. 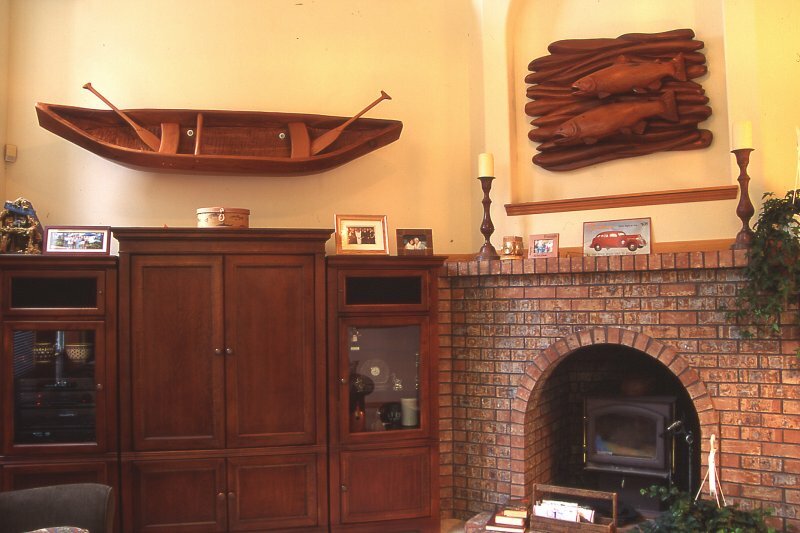 This photo shows both the canoe pictured below and a large wood on wood wall hanging of salmon. 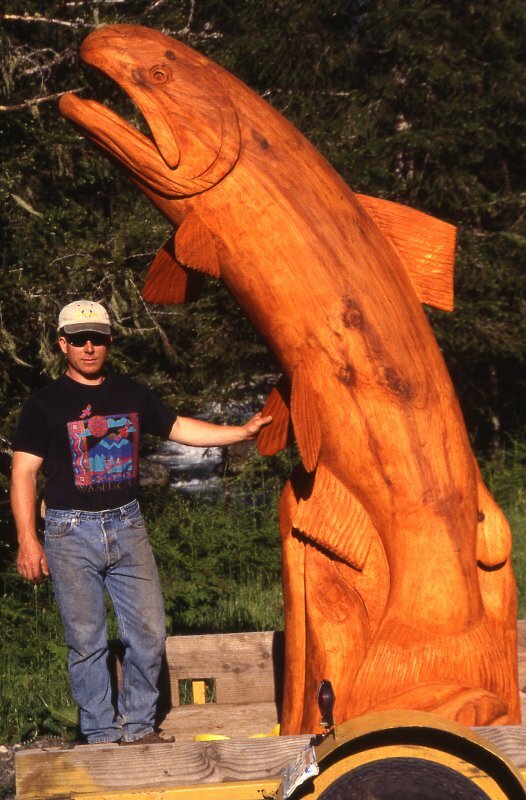 This photo gives a better idea of the magnitude of the work. 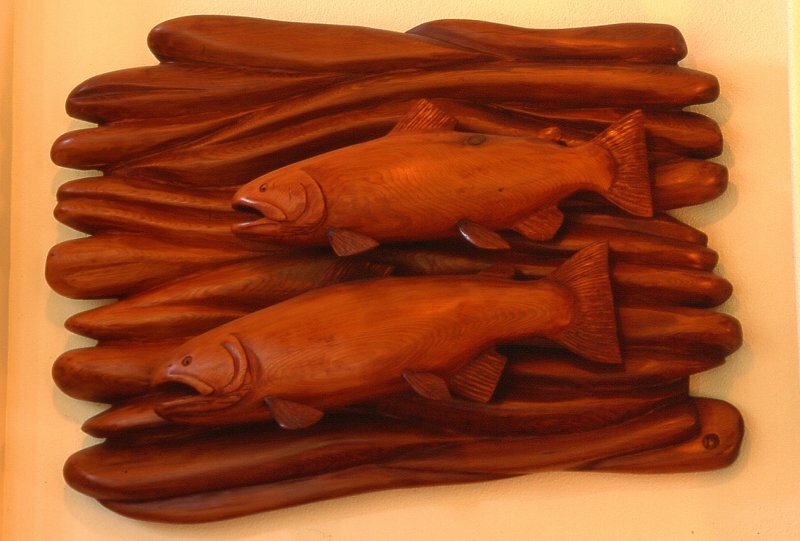 Wooden fish plaque from above in greater detail. 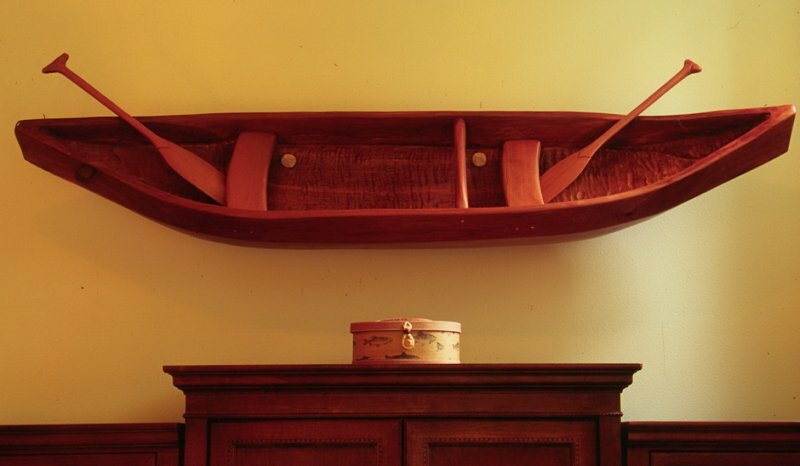 16 foot dugout canoe alone in greater detail.